There was a sense of relief that our bikes survived a night chained to an air conditioning vent in the hotel's outside car park - and a sense of foreboding as the sky blackened with the promise of heavy showers. As we trundled out of Toulouse there was an awkward moment when I told Dave I loved him - but it passed as we hit the horrible head wind that meant I was down to second gear and fighting to keep going. The morning was a real slog, and we eventually stopped for a sandwich, pastry and orangina in Villefranche de Lauragais - about a third of the way into our day. 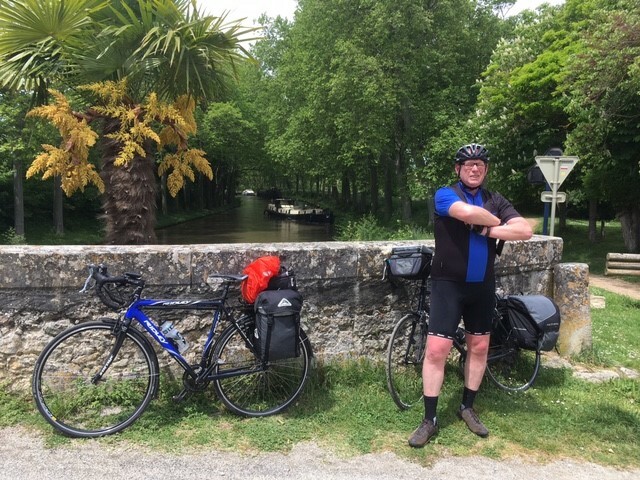 On a bridge of the Canal Du Midi. Yeah, it looks nice - but it's a cycle killer, uh huh uh ha ha, uh huh uh ha ha. 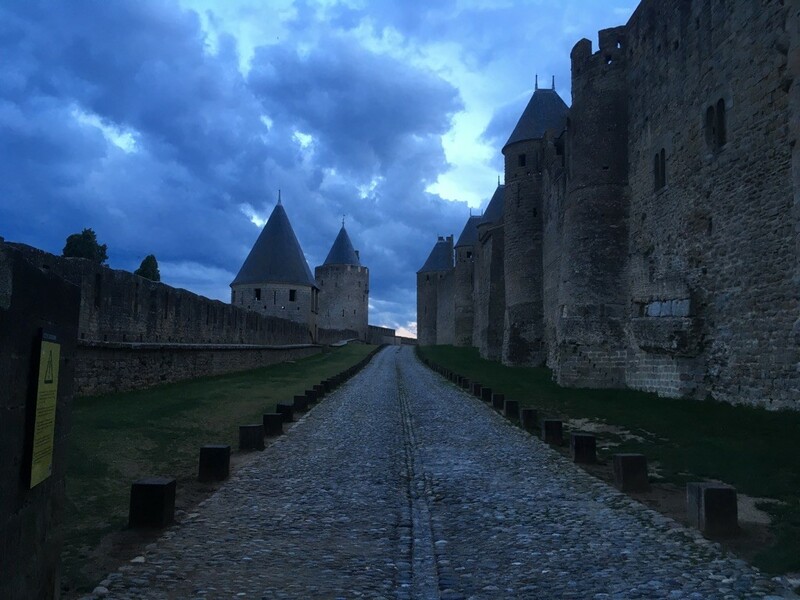 The popular walled city of Carcassonne at dusk - ruined only by the sound of 'Fra-a-ank, have you got our Yvonne's tablets?' Drifting across the evening breeze. I hope that Yvonne and Frank are both well, and looking forward to their return to Essex very soon.